Japanese food, that’s Sushi? – We see things differently!! Even though Sushi is an important part, there are many more culinary delights to japanese cuisine. Only few countries in the world can pride itself on having such a variety of dishes like Japan. In recent years, japanese food is entering Germany too, largely focusing on Sushi and its’ ingredients. We are taking a different path, introducing dishes with similar importance in japanese daily life. Ramen is one of these products. It’s comfort food. Anyone who has been to Japan knows the homey restaurants one can find on almost every street corner. Particularily in the evening hours they are crowded with people comming back from a busy work day relaxing and enjoying their dinner. To be precise, these shops are not named restaurants since they are too small. On the other hand they are far from what might be described as a snack bar. It is something in between. It’s the homey ambience that counts. It’s a spot to have a leisurely get-together and a chat to round off the day. We are committed to authenicity and we are striving to catch this atmosphere. 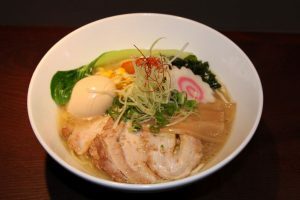 Japanese Ramen restaurant ambience combined with authentic japanese taste gives a feeling of japanese life style. Our japanese chef de cuisine, Shinya Ichihara, looks back at more than 20 years qualified cooking experience. He is responsible for the decoration, recipes and the selection of ingredients. Highest priority is given to the noodles. Since the noodles are “homemade” and Ramen noodles are much more difficult to produce than other noodles of it’s kind, a japanese Ramen-machine was imported and is used to prepare the dough. That way, we are providing fresh noodles with an original japanese taste. Moreover, our menu is filled with Ramen-typical side-dishes just as in the homeland of Ramen. 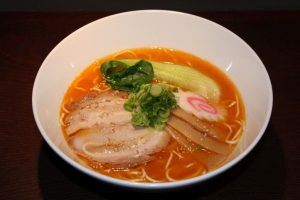 Feel free to immerse in a part of japanese soul food culture with its’ unique atmosphere and authentic japanese taste at Ramen Bar Zipang.